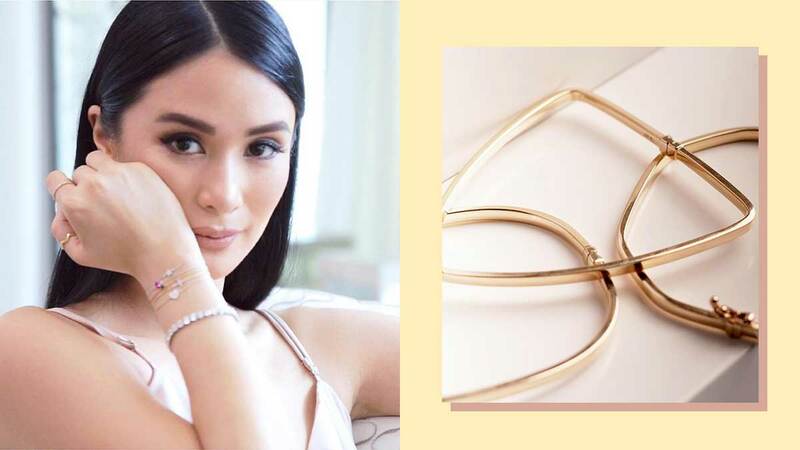 Heart Evangelista's travels are nothing if not mesmerizing. We can always count on her to serve us looks, whether she's casually walking through the streets of Tokyo or catching the attention of international designers at New York Fashion Week. Her travels don't just make for OOTD-worthy IG travel posts, but they've also inspired a jewelry collaboration! Heart collaborated with Royal Gem PH for her #RoyalGemxLoveMarie collaboration, aptly named The Keepsake Collection! In an online interview with Cosmopolitan Philippines, Heart discussed their design process, the meaning behind the collection's name, and what inspired her while creating the collection. Can you tell us why you named your collab collection with Royal Gem PH, "The Keepsake Collection"? I wanted my latest line with Royal Gem to feel like a collection of memories. You know how you keep souvenirs from your travels and place them around your home? I wanted my collection to have that same effect—the way you look at something and remember so many feelings attached to it. That's why I named it "The Keepsake Collection." How long did it take you and the Royal Gem PH team to come up with the designs? I started working with Royal Gem on February of this year. It took us a couple of months to come up with the designs—from conceptualizing, sketching, choosing materials, editing and approving samples, to finally shooting the collection in Paris. It was definitely a long journey, but it was worth every minute and I'm glad it's finally here. Each piece was inspired by your travels, such as the Louvre bracelet. Do you have a favorite travel experience that inspired a particular piece or pieces? I don't have one particular travel experience, but I do have one particular city that inspired me the most among all the other destinations. Of course, I'm talking about Paris. It's just such a beautiful city, so rich with culture and history, where I can source endless inspiration from. I love how so many of the pieces are named after French or Parisian spots, so wearing them reminds me of my favorite destination in the world! I love every single piece in the Keepsake Collection, but if I absolutely had to pick one, it would either be the Louvre bangles or the L'Eiffel mismatched earrings. One of my philosophies when it comes to accessorizing or jewelry is: "Pile it on!" The bangles and earrings are great pieces to layer with. I wear the Lourve bangles by two's or three's on top of all my other bracelets. And I mix in the L'Eiffel earrings with a lot of my other earrings as well. Each piece is stunning on their own, but work amazingly when mixed together. Did any person inspire you to create any particular piece? My inspirations for the Keepsake Collection were definitely mostly destinations. However, when I look at certain pieces, I do remember the certain people whom I've travelled with when visiting those places. Who do you envision buying/wearing these pieces? What I love about the Keepsake Collection is that it has something for everybody. There are pieces that cater to women who are into modernism and minimalism, and pieces that cater to women who are into more classic and traditional styles. I think the Keepsake Collection is simply for any woman who has a strong spirit of wanderlust and adventure. It's for any woman who understands that these pieces weren't made to sit at home in the jewelry cabinet, but were meant to see the world! *Answers were lightly edited for clarity. You can shop The Keepsake Collection at Royal Gem PH's website.